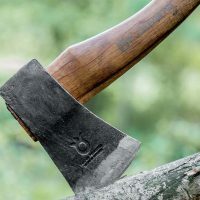 Survival weapons are a necessity when it comes to camping, nature hikes, practicing bushcraft, hunting or even prepping for an apocalyptic catastrophe to occur. There are several different types of weapons, and reasons as to why you should maintain and possess a quality amount of them. With pistols and rifles, though effective for hunting and self defense, you come into a problem of limited use if you do not have the ability or know how to create your own ammo. They are also very loud if you don’t want to give away your position. However, they are effective and useful to have in tight situations and, as previously mentioned, hunting for food. Rope is both effective as a weapon, and as a self defense weapon. However the reasons surrounding the need for these survival items are not common knowledge to all. Regardless as to what the situation is when the idea or use of weapons of survival may occur, one common reason remains the same, self preservation. It is not only human instinct to survive, it is our purpose in life. 2 Why do you need survival weapons? To survive of course! Why do you need survival weapons? To survive of course! We are presented on a daily basis with dangers and events that can put us at risk of losing our life or suffering from serious injury. In a situation where the odds are increased, or risks are heightened, it is essential that we have the proper tools for survival or you or your family simply won’t survive. Knives, guns, rope, basic tools, and the common sense to use this equipment are vital to self preservation. A few reasons why these are needed other than to protect yourself are; Hunting and gathering, security of campsite, defense against wild animals, defense against others who may try to harm you, and maintaining paths for safe travel. These all come into the final common goal of survival and that is the absolute reason to have to use any weapon in life. Not always to harm, but just to set traps and protection around you and your family to ensure safety. Knives are needed for many different purposes, and many different knives exist to serve both multiple and single uses. You have to be able to skin what you hunt, fix your lines for fishing, trail markers that only you can identify, and self preservation when presented with a situation where a gun is either not ideal, or usable. If you are in a kill or be killed situation, you have to be able to use whatever is accessible to you in order to maintain your own well being or the well being of your family. The most important weapon of survival that is to be utilized in every situation is your own mind. You have to be able to know how to use what you hold, and when to use it properly. In conclusion, the main reason to ever use any tool or weapon in your possession, is self preservation. You have to be able to hunt, gather, protect, and maintain your own life and the life of your family. 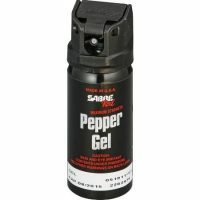 Whether you are planning a weekend get away or prepping for a cataclysmic event that will render technology and normal living useless, there are some key items that you need to consider investing in for your survival and possibly your defense. The most basic tool you should always have on your person when in a survival situation or a potential survival situation is a knife and it could save your life in more ways than one. Finding the right knife for survival can be tricky. You need a knife with a comfortable grip, thick blade, high quality steel etc. There are so many uses for a knife that I’m not going to go into them here. When many people think of a knife for survival, they think of a Rambo knife with a compass on it to help keep you navigated, and a small waterproof compartment to store matches or flint. In reality, that’s not the type of knife you want, you want something extremely reliable. 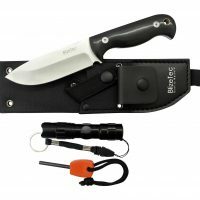 Check out my in depth guide into one of my favorite tools, the survival knife. If you’re looking for smaller knives that can be used for self defense, check out my karambit guide and check out how it compares to other combat knives or another option is a neck knife. 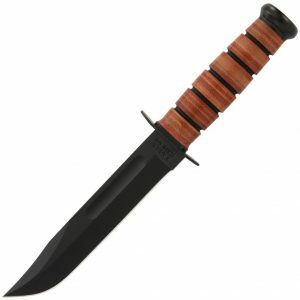 Another favorite blade of mine is the tanto blade. but my favorite historical blade is the seax. 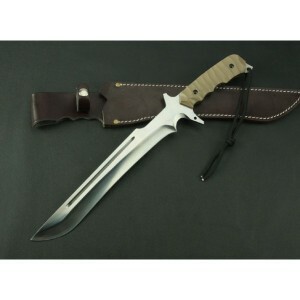 What can I say, I’m a “knife guy”, I love all kinds of knives especially massive knives like the bowie knife. Check out my page on the best assisted opening knives and the best pocket knife sharpener. Having a solid hatchet with you is another necessity you would need for everyday survival, being able to cut small trees out of your path for fire wood, removing the head from caught fish, and most survival hatchets have a blunt flat back end for driving steaks, and thick sticks/posts into the ground to set up tents. 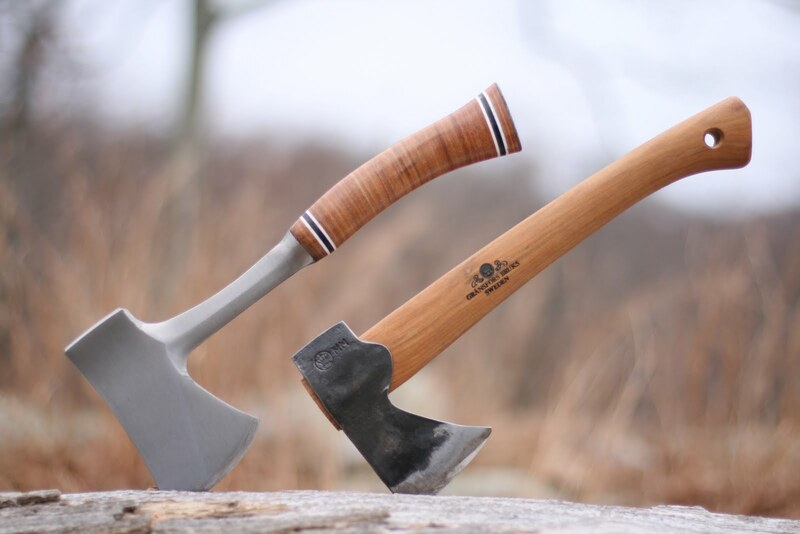 It’s so important you get the best hatchet because if you look at any primitive survival, one thing they always carry with them is a hatchet. 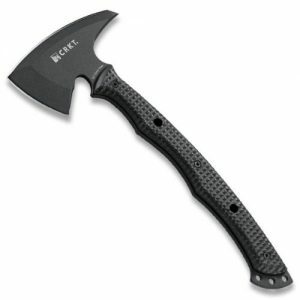 Check out my page on survival hatchets for a guide on which hatchet is best. 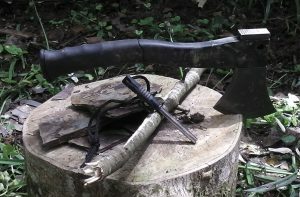 The survival hatchet is simply a necessity in a survival situation. 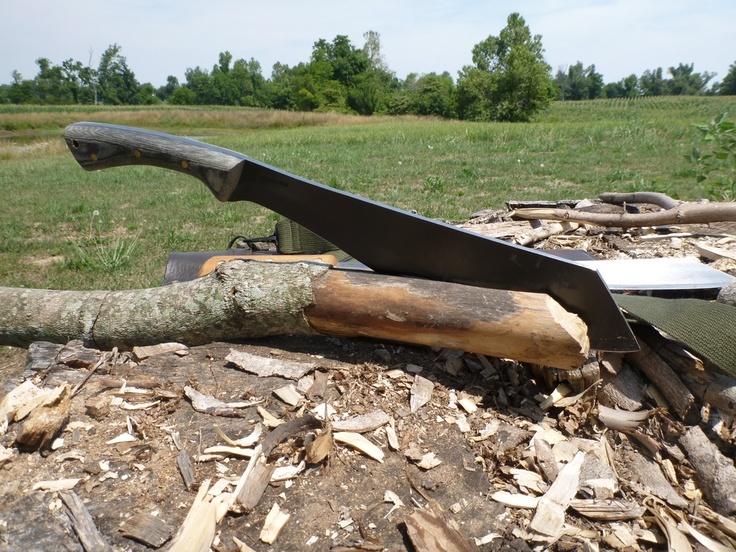 I cover several hatchets in greater detail such as the Husqvarna hatchet, which is an awesome tool. 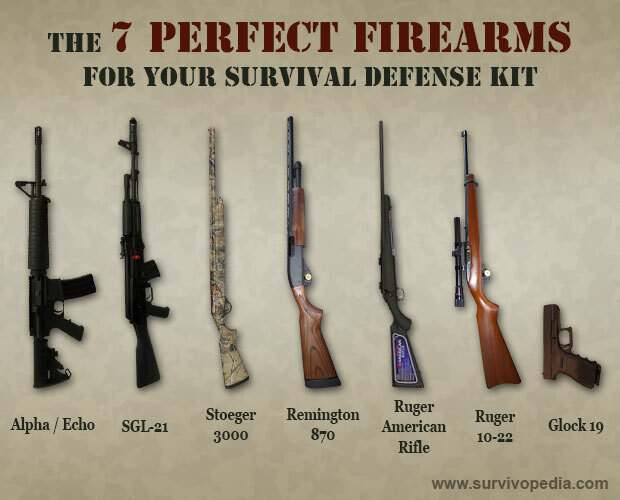 A survival rifle is a must have. Don’t like guns? Get over it. Having a high powered hand gun, or light weight rifle is ideal for self defense of large predators and other threats that may appear. Having sufficient ammo in your water resistant pack is a given when you carry a firearm of any kind. If you have the need, or the urge to hunt, it is best to invest in one of the light weight rifles with an accurate scope. 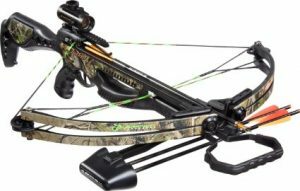 More ideal for hunting smaller animals from not so far away, but great for personal defense without raising too much noise, you should get your hands on a small crossbow that is designed for easy carry and reload. Maintaining your bolt consumption, or educating yourself into making more with your current tools, you can keep safe and fed as you travel the wild woods, forests, and any other location you plan to do your surviving. 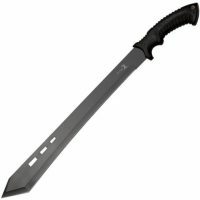 Machetes are more essential than you might presume, having this in your everyday carry for the world outside society has multiple uses and is a solid defense against predators that might try to confront you. 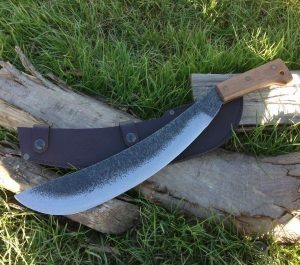 Machetes usually have a longer blade than a knife, and are designed to clear brush, make paths, and stay out of reach of something with claws that will cause you harm. The other thing you have to consider with machetes is just how intimidating they look. 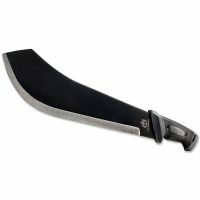 We’ve got a page dedicated to helping you select the best machete. Many machetes are designed for specific purposes such as a tactical machete or a combat machete. 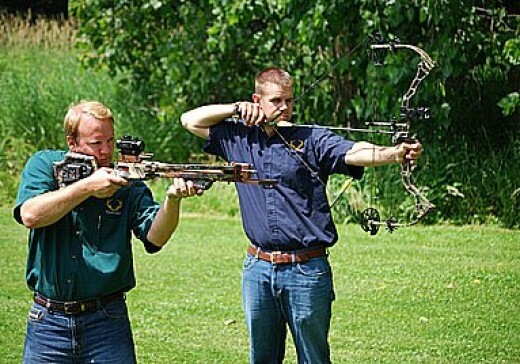 Bows are silent but deadly. They allow you to get more than one shot off without alerting others to your position. 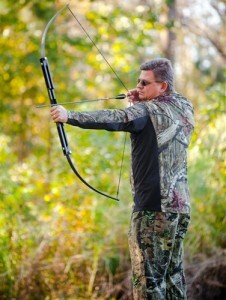 Check out our page on how to pick a survival bow. 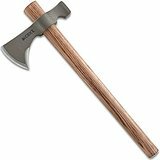 So many primitive tools such as the spear and sword have pretty much disappeared but the tomahawk still lives on and there’s a reason for that. 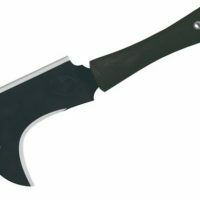 Read our tactical tomahawks guide to find out more. It’s something that is overlooked by many but it’s pretty much a necessity. 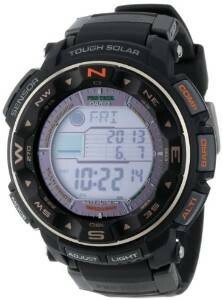 For further info read our survival watches guide. Obviously not a weapon but absolutely a necessity. 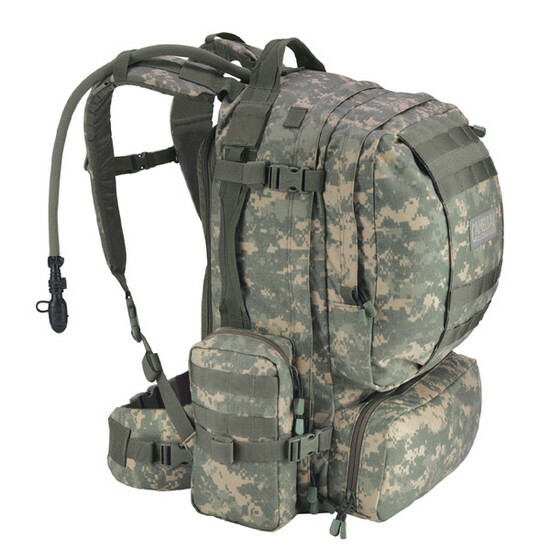 You’ve got gear, and you need to be mobile so you need a survival backpack. There are so many factors to be considered from design to size to material which I’ve gone over to help you choose the best survival backpack for your needs. 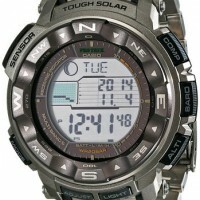 Having a high quality, multi-functional survival tool can make your life a lot easier. 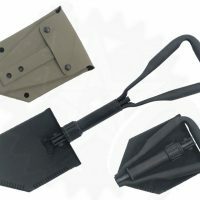 Make sure you choose one of the best survival shovels you can. 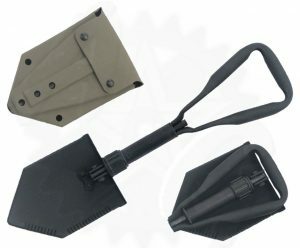 If it can dig holes, also be used as a saw and axe plus have other features, it’s the ultimate back up tool. In the event of a cataclysmic or apocalyptic event, these items will be in high demand and become very hard to get your hands on. They are essential items for survival when off the grid, or if you just want to have a family get away in the middle of no where. Combining these items with an easy to construct tent, personal necessities, and a zippo with plenty of fluid and flints for back up, will cause you to fully enjoy yourself and stay alive.